Our family owned company values every client as family. 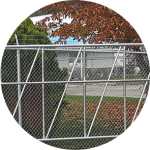 At Quality Chain Link Fencing, we have high standards when it comes to quality and customer service. We have served the Okanagan since 1983, providing fencing solutions to protect and secure the homes, properties, and businesses of our ever-growing “family”. 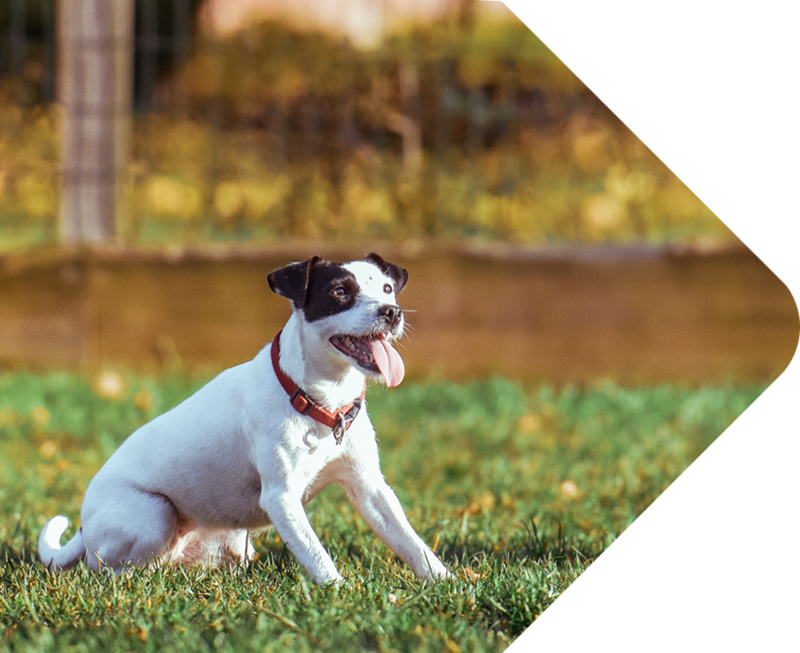 Our fencing is designed to keep your little ones safe and close to home, no matter if they walk on two legs or four! From our family to yours, you can count on our team for expert consultation and professional installation of residential and commercial chain link fencing. Quality Chain Link Fencing offers a variety of fencing solutions for residential and commercial properties. 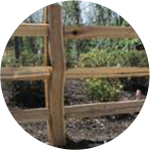 We offer fencing in various styles, heights and specifications to accommodate the unique needs of your property and your style preferences. 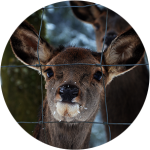 Our highly-trained technicians have installed fences on a range of properties throughout the Okanagan. We look forward to serving you. 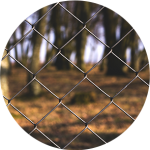 As a builder and developer, I have done quite a few fences with Quality Chainlink Fencing over the years. They show up on time, are professional and always do a great job. I always recommend their company to anyone looking into getting a new fence. The Quality Fencing Team has done a fantastic job fencing a portion of our farm/acreage. I would highly recommend the Quality Fencing Team to anyone that needs a professional, well organized & reasonable fencing project, completed in a timely manner. We will be having the "Quality Fencing Team" back to our property, so they can work on the remaining portion of our lower property, once we are ready for them. Great job.. well done. Thank You Shelley, Cal, & the whole Team. As a contractor I often need fencing. I have used a few other fencing companies but have found Quality Chain Link Fencing to be the best! One of the most important things with any of our projects is meeting the deadline. We had used other companies in the past and it has always been a struggle to get the work completed on time. 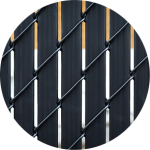 With Quality Chain Link Fencing there is never any hidden costs, the craftsmanship has always been top notch and the jobs are completed within our deadlines. Time is money and Quality Fencing doesn’t disappoint. I have been managing all maintenance for McIntosh Properties for the last 4 years and have used Quality Chain Link Fencing on numerous occasions. I have always received a quick response to my requests for estimates and have always been provided a quality installation each and every time. I would not hesitate in recommending Shelley and her crew to anyone who is looking for a Quality fencing company! Raymond Filbrandt, McIntosh Properties Ltd. The work that Quality Chain Link Fencing did for us surpassed all my expectations. From the first contact to completion of the installation the owners and staff were courteous with exceptional customer service and their attention to detail is bar none top of the line! They provided high quality workmanship with competitive pricing. I will definitely use them again and have no hesitation in recommending them. After receiving three quotes we chose Quality Chain Link Fencing to install our fence and I am glad we did. I found them to be professional and knowledgeable. Whether booking the estimate or scheduling the installation the office staff was easy to deal with, they made the process stress free. The crew arrived on time, kept the work area clean, they did a great job and just as importantly they invoiced what they quoted! I highly recommend the team at Quality Chain Link Fencing. Quality Chain Link Fencing Ltd. assisted me in negotiations with the City of Vernon on a spec for black powder coated fence. I found Shelley and the Crew to be professionals at all times, patient, informative and always willing to go the extra distance to complete the required fence. I could not of asked for a more pleasant experience with a service and installation provider. My thanks to the team at Quality Fencing Ltd. I have no hesitation in recommending them for any job. I had the fortune to have Quality Chain Link Fencing come out to fence my very large yard. They were wonderful from start to finish. Their workmanship is incomparable, from the speed in which it was installed to the final result, It looked fantastic!! To top it all off, their customer service is above and beyond any of the other fencing companies I called. Communicated everything clearly and quickly and most important, accurately! Would I use these guys again? Absolutely! We have worked with Quality Chain Link Fencing over the years and it has been terrific. Your workmanship is top quality and so is your customer service. We can trust that our clients will be treated well when we call upon your company. Thank you for making it so easy to work with you.